La Fiesta Monita is back! Ploenchit has bloomed into one of the most upcoming hangout destinations, this year we’ll bring our neighborhood’s family and friends together to create the party of the year, La Fiesta Monita No. 6, “Ploenchit in Bloom”. Saturday November 14th, come hang out and enjoy an array of authentic Mission style Mexican from us La Monita Taqueria, Spanish Tapas from Osito | Unique Spanish and Japanese from Jubei Izakaya. Dance the night away with live music from Trix ‘O Treat and DJ Pichy that promise insane fun. If you've enjoyed our previous years’ parties, then you know every year gets better. We also got many sponsors that will serve limited amount of premium booze for free so come early! 500 Bht ticket is now on sale at La Monita Taqueria, Mahatun Plaza, Ploenchit. 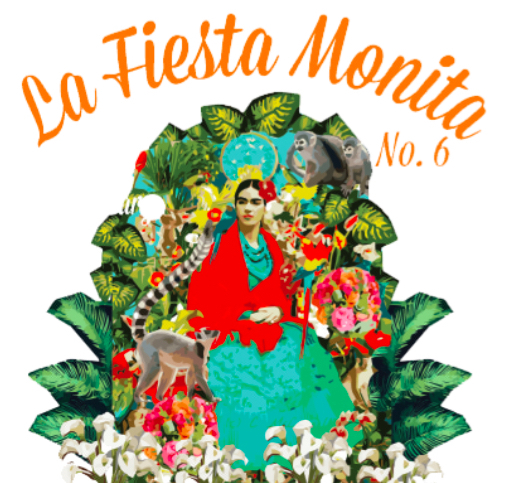 Or email to Fiesta@lamonita.com for more info and other inquiries. Or keep checking on your email as we will send out free tickets to our awesome supporters soon! This year we're asking for a little support, an entrance fee at THB 500 per person and can be bought at La Monita Taqueria. However, if you are our regulars, the free invitation will be sent to your inbox! Check it out!!! Amazing food and booze will be unlimited from 6pm to 10pm.